Creating a good interpersonal relationship in the clinical interactions between a clinician and a patient is fundamental and relies on the quality of interactive communication between them. 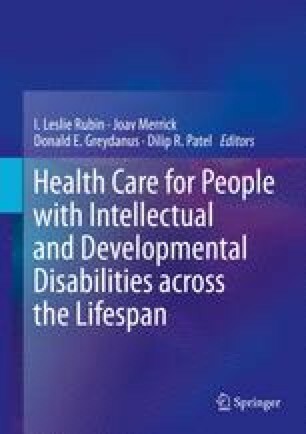 Communication between health care providers and their patients with intellectual and developmental disabilities (IDD) must effectively exchange critical health information but often includes a third party. Health care providers need to adjust their communication style to accommodate the needs and skills of their patients, and must also understand the role played by a patient’s caregivers in the clinical interaction. To successfully do so, providers must learn and willingly utilize a range of techniques, adaptations and tools, which are reviewed in this chapter.